Why did B.B. King name his guitar "Lucille?" How old is Stevie Ray Vaughn's "First Wife?" 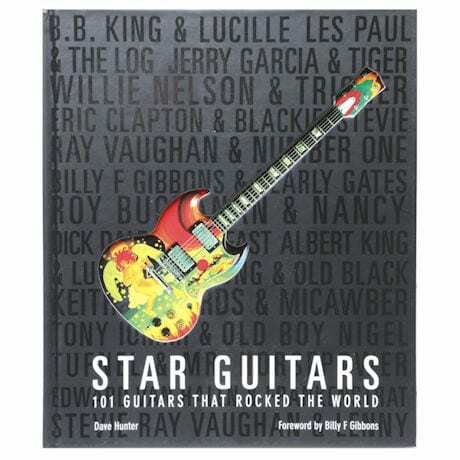 This history of 101 legendary guitars (and the guitarists who play them) features hundreds of pictures plus insider info, and behind-the-scenes facts to delight music fans of every genre. Book includes details on rock star techniques and modifications that fuel those trademark licks. Hardcover; 288 pages.